THE BEST SCOTTISH ALBUMS OF 2014. END OF NEIL-ONLY SURFERS KNOW. Without doubt, one of Scotland’s best up-and-coming singer-songwriters is End Of Neil. For the last few years, End Of Neil has released a string of E.P.s. However, one thing he hadn’t done, was release an album. This year, thankfully, he rectified this, with the release of his debut album Only Surfers Know. Since then, his star has been in the ascendancy. He’s been playing higher profile venues, word seems to be spreading about Scotland’s best kept musical secret, End Of Neil. 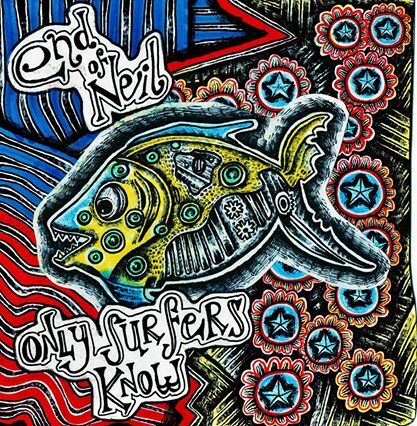 After six long years, End Of Neil has released his long awaited, and critically acclaimed debut album Only Surfers Know. At last, a much wider audience will be able to hear End Of Neil’s unique fusion of Americana, country, folk, rock and soul. It’s a powerful combination. End Of Neil’s music is cerebral, intelligent, evocative, expressive, poetic and thoughtful. End Of Neil sings of hurt and heartbreak, love and loss, life and the meaning of it. Poignancy sits side-by-side with pathos. There’s a sense of melancholia, wistfulness and vulnerability in his voice. Other times irony, humour and guilt shine through. That’s apparent on Only Surfers Know as End Of Neil showcases his vocal prowess. During Only Surfers Know, End Of Neil showcases his lived-in, world-weary, soulful vocal. Sometimes, End Of Neil’s vocal is a cathartic unburdening. This proves powerful and emotive. It’s as if we’re seeing a glimpse of End Of Neil’s soul. We get a sense of who End Of Neil is and what makes him tick on his debut album Only Surfers Know. Although Only Surfers Know is End Of Neil’s debut album, he’s an experienced artist. End Of Neil has been working towards Only Surfers Know, the album which hopefully, will launch the career of Neil Stewart. 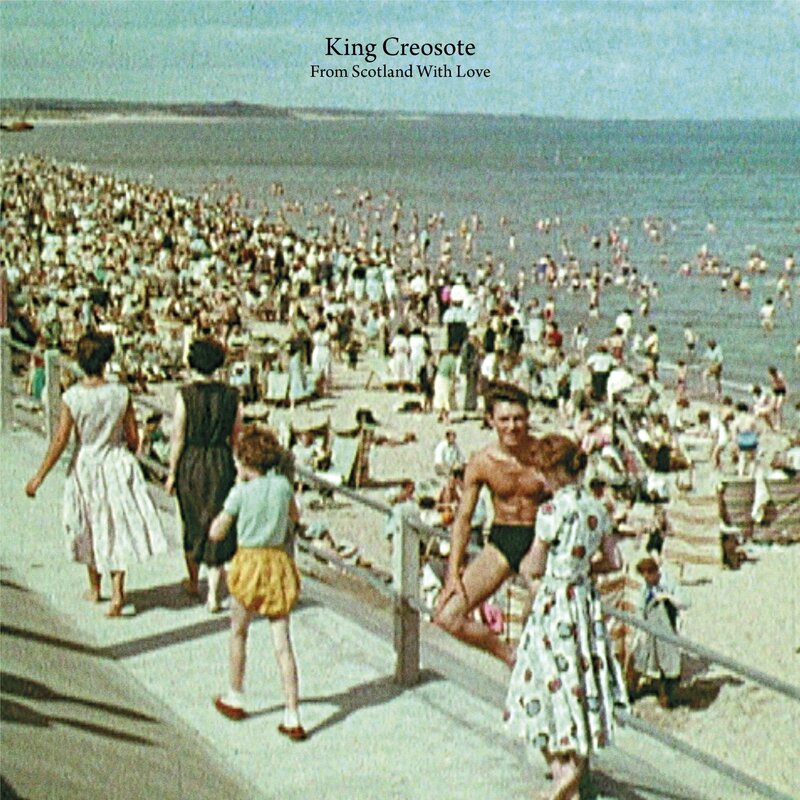 KING CREOSOTE-FROM SCOTLAND FROM LOVE. From Scotland With Love, which was released by Domino, was a the soundtrack to a documentary feature film directed by Virginia Heath. The film was commissioned as part of the Cultural Festival, which accompanied the 2014 Commonwealth Games. They were held in Glasgow. During the Commonwealth Games, a screening of From Scotland With Love took place on Glasgow Green. It was accompanied by live music. This was fitting. After all, Glasgow Green has been the scene of many memorable musical events. The screening of From Scotland With Love was just the latest. As films go, From Scotland With Love is quite unusual. The seventy-five minute film features no dialogue. That’s not surprising. The documentary was created entirely from archive film material from the National Library of Scotland and the Scottish Screen Archive. With no voiceover, Virginia Heath decided to add a musical backdrop. That’s where King Creosote came in. King Creosote provided a musical backdrop to the themes that run through the film. This includes love, loss, resistance and migration. There’s a reminder of how Scotland has changed when the film touches on urbanisation and emigration. many Scottish people emigrated to Australia, Canada and New Zealand in the fifties and sixties. From Scotland With Love also shows Scotland at work and play. There’s a sense of sadness too. Especially when reminders of Scotland’s past. Back then, shipbuilding, heavy industry and the fishing industry, were just three of Scotland’s industrial heavyweights. Not any more. Tragically, they’ve been brought to their knees. Another sense of sadness is when From Scotland With Love touches on the war. It’s another of the subjects King Creosote tackles on From Scotland With Love. From Scotland With Love is a beautiful, joyous, melancholy, poignant, uplifting and wistful album. The music tugs at your heartstrings. Especially, when King Creosote is delivering vocals that are heartfelt, hopeful, needy, joyous and inspirational. King Creosote is the latest in a long line of Scottish troubadours. His Magnus Opus, From Scotland With Love, marks a coming of age from Scotland’s newly crowned musical King, King Creosote. John Martyn left Island Records in 1988. A lot had happened during that period. John had arrived at Island Records as a nineteen year old folk singer. He left aged forty, having released a string of classic albums. Among them, were Bless The Weather, Solid Air and One World. Each of these albums were very different, as John’s sound continued to evolve during his time at Island Records. That’s apparent when you listen to the four discs and fifty-six tracks on The Best Of The Island Years. 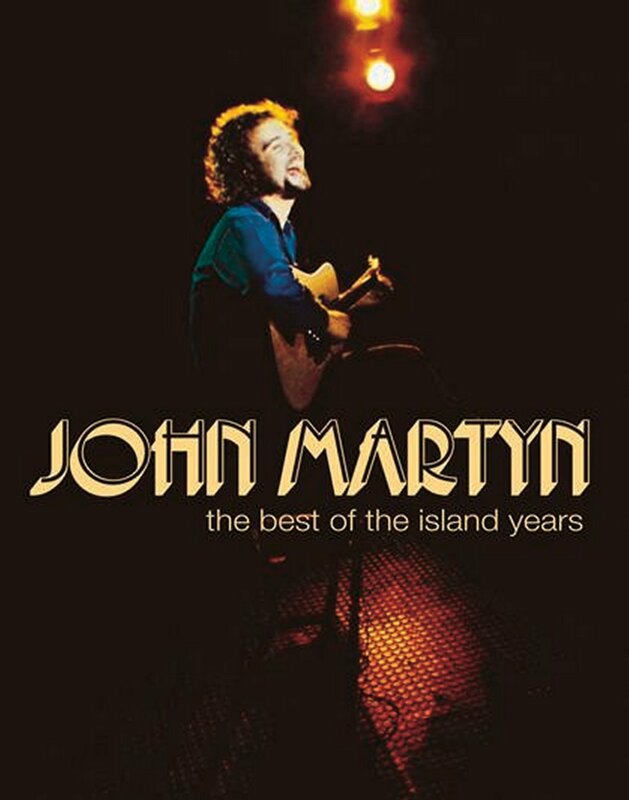 Over the twenty one year period The Best Of The Island Years covers, John’s music incorporated everything from blues, country, dub, folk, jazz, psychedelia and rock. Constantly, John was taking his music in different directions. He was never content to find a “sound” and stick with it. That was for other artists. John was his own man, with his own ideas about music. One of these ideas was to be constantly pushing music boundaries, exploring and experimenting. To some extent, he did that every time he stepped onstage. One of the most eagerly anticipated reissues was Chemikal Underground’s Deluxe Version of Mgwai’s Come On Die Young. It’s a welcome reminder of Mogwai, as they embarked upon the musical adventure that’s their career. Come On Die Young is one of the finest albums Mogwai have released, so far. The sound quality on the two discs is outstanding, and the music seems to come alive. That’s not surprising. Come On Die Young is a timeless albums. I’d go as far as say that it’s one of the best Scottish albums of the last forty years. Come On Die Young saw Mogwai discover their “sound” and direction. It’s a much more reserved and understated album than their debut album, Mogwai Young Team. The music is also melodic, melancholy, dramatic, dreamy, wistful, lysergic and haunting. It’s the type of album where you need to let the music wash over you and discover its beauty, nuances, subtleties and secrets. With every listen, you hear something new and fresh. That’s the case even after fifteen years. On Come On Die Young, Mogwai combined musical genres and influences. Listen carefully and you’ll hear Mogwai combine everything from ambient, avant garde, electronica, experimental, grunge, indie rock, Krautrock, post rock and psychedelia. Mogwai have been influenced by a number of bands and artists. There’s a nod to Brian Eno, John Hopkins, Neil Young, Nirvana and Pink Floyd. Closer to home, I’d suggest the Cocteau Twins ethereal, fuzzy soundscapes influenced Mogwai when they were making Come On Die Young back in 1998 and 1999. 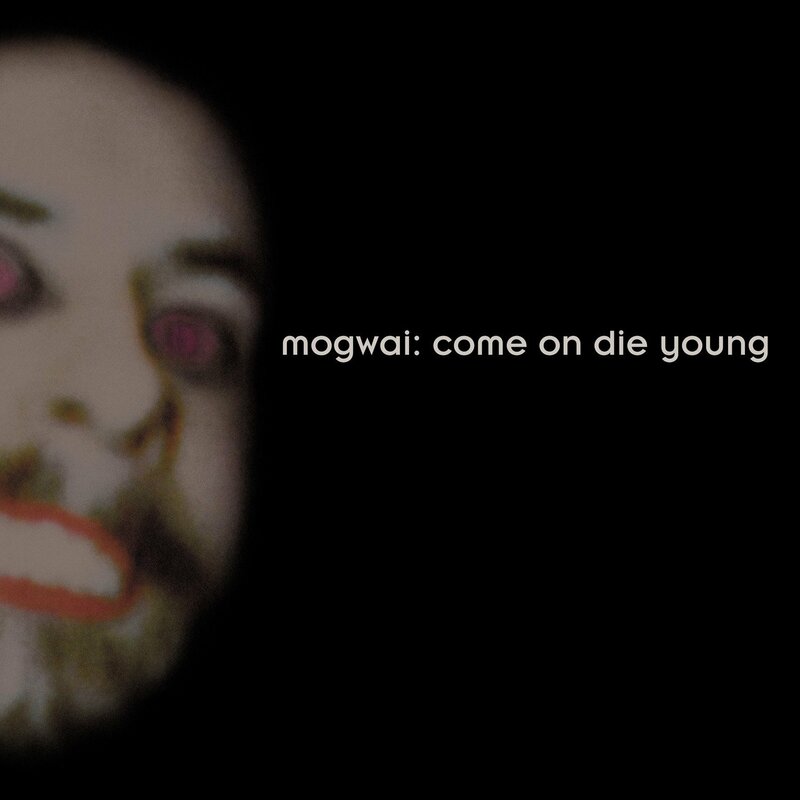 For a newcomer to Mogwai’s music, then Come On Die Young is the perfect introduction to their music. Two other albums would be a fitting companion to Come On Die Young. They’re Les Revenants, Mogwai’s 2013 soundtrack album and their most recent album, Rave Tapes. 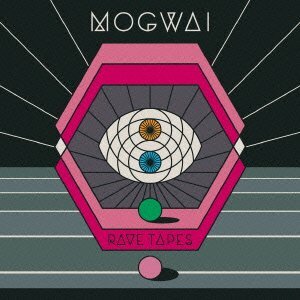 These three albums, Les Revenants, Rave Tapes and Come On Die Young are the perfect introduction to Mogwai and show very different sides to their music. Buoyed by the commercial success of their 1982 debut album You Can’t Hide Your Love Forever, Orange Juice were well on their way to becoming one of the most influential groups of the early eighties. Their timeless brand of perfect pop had won over critics and music lovers. Released to critical acclaim in March 1982, You Can’t Hide Your Love Forever reached number twenty-one in the UK. For Orange Juice it was a case of striking when the iron was hot. Just eight months later, Orange Juice returned with their sophomore album Rip It Up, which was rereleased by Domino Records. 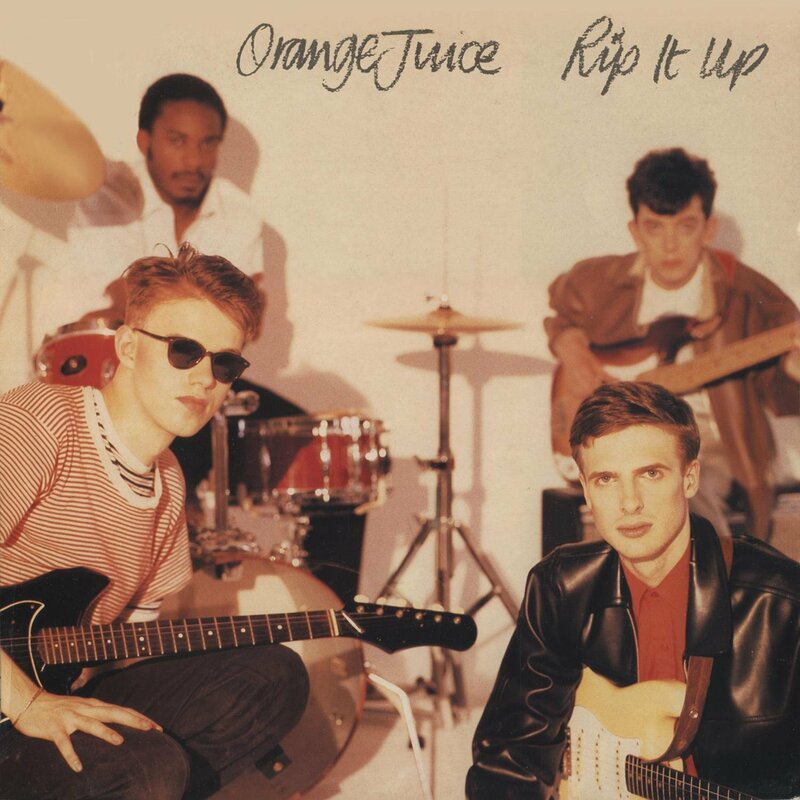 Rip It Up featured a song that’s since become synonymous with Orange Juice, the title track Rip It Up. Not only that, but Rip It Up was the most successful single of Orange Juice’s career. It reached number eight in the UK Charts in 1983. Thirty-one years later and Rip It Up, Orange Juice’s sophomore albums, is best described as a slice of pop perfection. 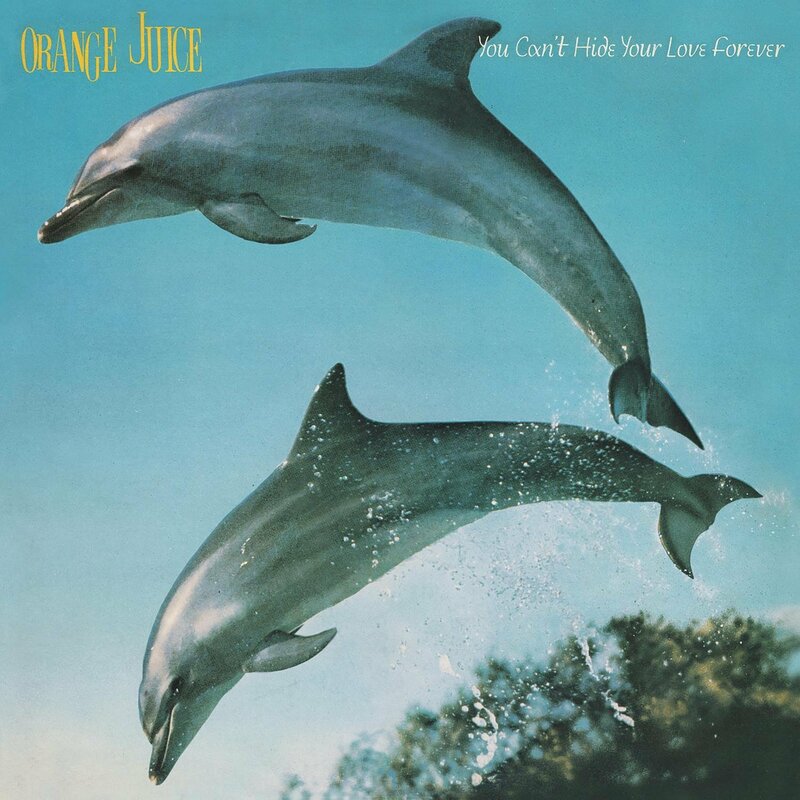 ORANGE JUICE-YOU CAN’T HIDE YOUR LOVE FOREVER. Back in March 1982, Orange Juice released their debut album You Can’t Hide Your Love Forever. It featured Orange Juice’s timeless brand of perfect pop. What became known as the Sound of Young Scotland, won over critics and music lovers. Released to critical acclaim in March 1982, You Can’t Hide Your Love Forever reached number twenty-one in the UK. Suddenly, Orange Juice were one of the hottest acts in Britain. You Can’t Hide Your Love Forever, which was reissued by Domino Records in 2014, was the album that launched Orange Juice. They were no overnight success though. Orange Juice had spent six years honing their sound. They’d come a long way since their early years as the post-punk Nu-Sonics. By 1982, they were a slick, polished and tight band. They were fortunate enough to have two talented songwriters. Edwyn Collins and James Kirk. They penned twelve of the thirteen tracks on You Can’t Hide Your Love Forever. They were variously beautiful, cerebral, joyous, literate, melancholy, poignant and wistful. Edwyn’s vocal brings the lyrics to life, breathing life, meaning and emotion into them. Behind him, Orange Juice’s trademark sound provided the perfect accompaniment. Together they were well on their way to becoming one of the most important bands in Scotland’s musical history. THE BLUE NILE-PEACE AT LAST (DELUXE SET). The Blue Nile were no ordinary band. They did things their way. Enigmatic, reluctant and contrarian are words that best of describe the Blue Nile, whose third album Peace At Last was released as a Remastered Deluxe Set in March 2013. This reissue has been a long time coming. When The Blue Nile’s first two masterpieces 1984s A Walk Across the Rooftops and 1989s Hats were reissued back in November 2012, we were told a remastered version of Peace At Last would be released soon. As any Blue Nile fans knows, time moves slowly in the world of The Blue Nile. So a gap of fifteen months isn’t excessive. After all, there was a gap of seven years between The Blue Nile’s sophomore album Hats and 1996s Peace At Last. Whilst much is made of newly remastered albums, the remastered version of Peace At Last is truly stunning. Previously unheard subtleties, secrets and nuances. Layers, textures and hidden depths can be heard. This was the case with the remeasured versions of A Walk Across The Rooftops and Hats. Now it’s possible to hear The Blue Nile’s underrated classic Peace At Last in all its glories. This Remastered Deluxe Set is worth every penny. It’s not unlike an old picture that after years covered in grime, is cleaned suddenly, a new picture emerges. That’s what remastering process has done to Peace At Last has done. 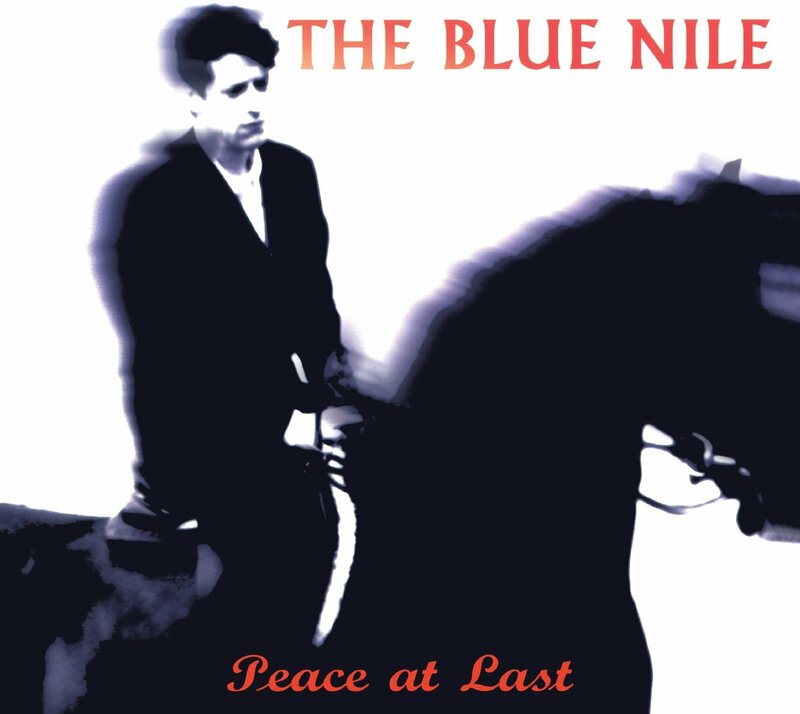 Never again, will you reach for your original copy of Peace At Last, as the remastered version breathes new life into Peace At Last, which was The Blue Nile’s penultimate album. 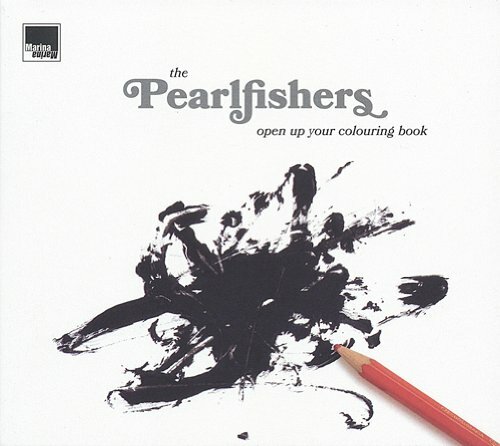 THE PEARLFISHERS- OPEN UP YOUR COLOURING BOOK. “Everything comes to he who waits.” So the sayings goes. Even a new album from The Pearlfishers. Recently, Scotland’s best kept musical secret, The Pearlfishers, released their seventh album, Open Up Your Colouring Book, on Marina Records. Open Up Your Colouring Book was released seven years after their previous album, Up With The Larks. After a gap of seven long years, The Pearlfishers make a very welcome comeback. They’ve been away far too long. Open up Your Colouring Book is a reminder of what we’ve been missing. Hook-laden, joyous, cerebral, thoughtful, melancholy and wistful describe the music on Open up Your Colouring Book. That’s just a few words that describe Open up Your Colouring Book. So does captivating, bewitching and beautiful. Especially when David Scott, dawns the role of troubled troubadour. His lived-in, weary vocal sees him breath life, meaning and emotion into the lyrics. For anyone whose lived, lost and lost love, then Open up Your Colouring Book speaks to and for them. It brings to life their heartache and hurt, their sense of how life will never be quite the same again. Other songs have a cinematic quality. They’re akin to soundtrack to short films or plays. You can shut your eyes and imagine the lyrics unfolding before your eyes. The characters, their hurt and lives seem very reals. Sometimes, it’s as if they’re laying bare their soul. Not only do they lay bare their soul, but articulate their hopes, fears, frustrations and dreams. Articulating this gambit of emotions and musical vignet, is David Scott, another of Scotland’s troubled troubadours. Just like previous albums, David Scott, accompanied by the rest of The Pearlfishers. They play their part in Open up Your Colouring Book’s sound and success. It was back in June 2014, when The Phantom Band released their third album, Strange Friend, on Chemikal Underground. Strange Friend was released five years after The Phantom Band’s debut album Checkmate Savage. Since then, The Phantom Band have set about reinventing their music. 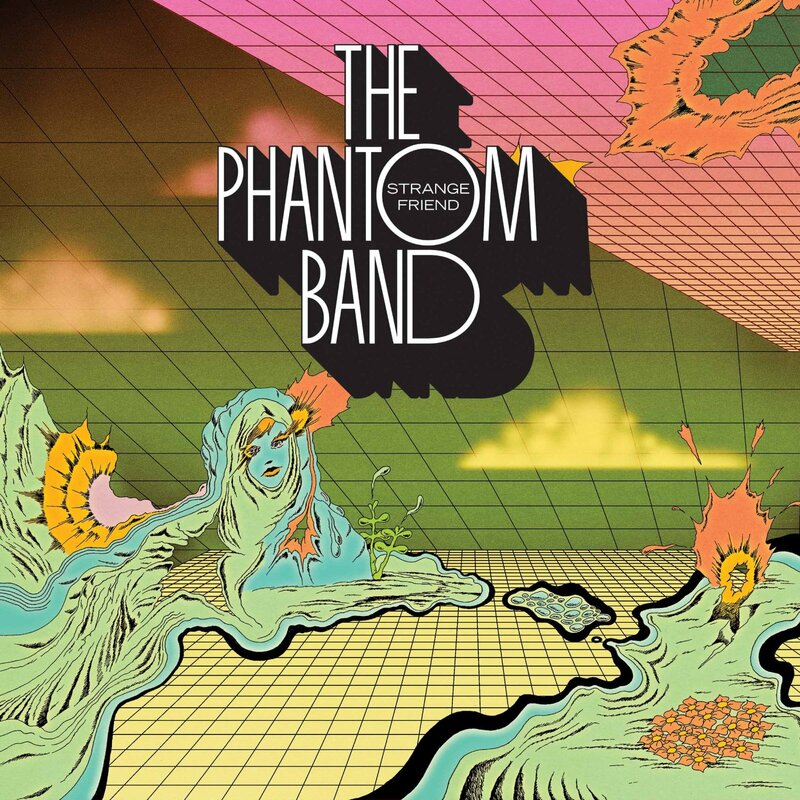 To do this, The Phantom Band combine everything from ambient, folk, indie rock, Krautrock, pop, psychedelia, synth pop. There’s even a brief nod towards Acid House and prog rock. Strange Friend is without doubt, a truly eclectic album. It sees The Phantom Band draw inspiration from Can, Kraftwerk, Ultravox, Bob Dylan, Neil Young, Jeff Buckely, Johnny Cash and Brian Eno on Galápagos. The result is a rich, eclectic and captivating musical tapestry. Five long years have passed since Withered Hand recorded their debut album Good News. It was released to critical acclaim and praised for its stark honesty. There was a reason for this. The man behind Withered Hand, Dan Willson was a latecomer to music. He was already thirty when he wrote his first song. So, Dan had lived a life and had stories to tell. Many of them were based upon his life. This is also the case with Withered Hand’s sophomore album New Gods, which was released in March 2014 with the help of funding from Creative Scotland. New Gods features eleven songs based on Dan’s life. For New Gods, Dan penned eleven tracks. These songs deal with the big issues in life. There’s songs about love, death, friendship and infidelity. There’s also songs about road trips, stargazing and cough mixture abuse. New Gods is a grownup album from a perceptive and talented songwriter. However, Dan is a relative newcomer to music. In fact, Dan’s best described as an accidental songwriter. Dan’s songwriting career began during a period when Dan’s life had been turned upside down. A close friend had just died, and he was about to become a father, for the first time. Dan was reflecting on what life was about. He found himself asking the “big questions.” To help him find answers and express how he was feeling, Dan wrote his first song. For Dan, this proved a cathartic experience. It helped Dan to make sense of what had been happening in his life. This is when Dan realised he was a talented songwriter. Aged thirty, he began writing the songs that became Good News. Rather than release the album as Dan Willson, Dan dawned the persona of Withered Hand. Maybe, it was easier for Dan to write and perform the songs via his alter ego? On Good News’ release, critics on both sides of the Atlantic and musicians like Jarvis Cocker were won over by Good News. Where had Withered Hand all these years? Previously, Dan had been active in the world of visual art. He was interested in music and “dabbled.” However, it wasn’t until he dawned the persona of Withered Hand, that Dan decided to make a career as a musician. Following the release of Good News, Withered Hand has established a reputation as a prolific live performer. That’s no bad thing. It allowed Withered Hand to further hone his sound. This has resulted in Withered Hand establishing a reputation as one of Scotland’s best singer-songwriters. During this period, Withered Hand has continued to win friends and influence people. Withered Hand’s reputation was further enhanced by the release of Good News. No wonder. Much anticipated, New Gods was released to critical acclaim. No wonder. 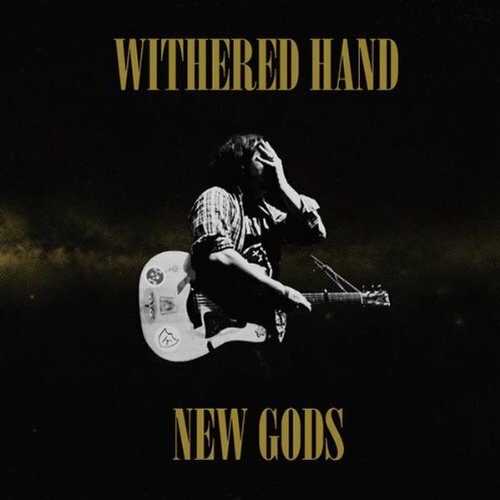 Cathartic, cerebral, heartbreaking, perceptive and witty describes New Gods, which was the first album Withered Hand recorded in a recording studio. With a the experienced producer Tony Doogan at the helm Withered Hand headed to Mogwai’s Castle Of Doom studios, in Glasgow. Joining Withered Hand were some of the biggest names in Scottish music. So it’s no surprise Withered Hand’s sophomore album New Gods is one of the finest Scottish albums of recent years. There’s a reason for this. Dan is one of the most talented and perceptive songwriters around. His songs can make you laugh, cry and dance with joy. From the opening bars of Horseshoe, right through to the closing notes of Not Alone, New Gods is a spellbinding album. That’s why I’d describe it as a cathartic confessional. New Gods veers between wistful, joyous and everything in between. That’s why Withered Hand have a big future. With their unique brand of Americana, blues, country, folk and rock Withered Hand are one of Scotland’s most exciting bands, whose sophomore album New Gods, is one of the best albums of 2014. So, that’s what I regard as my best Scottish albums of 2014. The ten albumsa mixture of new albums, reissues and box sets. Familiar faces and new names sit side-by-side on the best Scottish albums of 2014. These albums, just like all of the albums on my best of 2014 lists, will make a welcome addition to any record collection. ← THE BEST FIFTEEN BOX SETS OF 2014.